Technological innovations are changing mechanisation in agriculture. The most recent wave of innovations referred to as smart farming technologies (SFT), promise to improve farming by responding to economic, ecological, and social challenges and thereby sustainably develop agriculture throughout Europe. 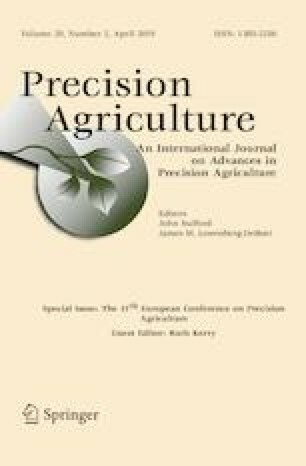 To better understand the relevance of ongoing technological progress for farming systems across Europe, 287 farmers were surveyed in 7 EU countries and in 4 cropping systems, alongside 22 in-depth semi-structured interviews with experts from the agricultural knowledge and innovation system. Of the surveyed farmers, about 50% were SFT adopters and 50% were non-adopters. The number of adopters increased with farm size, and there were more adopters among arable cropping systems than in tree crops. Although all farmers broadly perceive SFT as useful to farming and generally expect SFT to continue to be so, when it comes to specific on-farm challenges, farmers are less convinced of SFT potential. Moreover, farmers’ perceptions of SFT vary according to SFT characteristics and farming context. Interestingly, both adopter and non-adopter groups are hesitant regarding SFT adoption, such that adopters are somewhat disillusioned about the SFT that they have experience with, and non-adopters because they are not convinced that the appropriate technologies are available and accessible. About 60% of all farmers surveyed have a number of suggestions for SFT to become more relevant to a broader range of farms. Both farmers and experts generally consider peer-to-peer communication as important sources of information and deplore a lack of impartial advice. Experts are generally more convinced of SFT advantages, and are positive regarding the long-term trends of technological development. The findings support previous findings on using farmers’ perceptions in innovation processes, and provide insight to the recent trends regarding SFT application to diverse cropping systems across Europe. This suggests that differences related to agricultural structures and farming systems across Europe have to be considered if SFT development and dissemination should be improved. This research was supported by the Smart-AKIS project, funded by the European Commission (Project Number 696294, Horizon 2020 Framework Programme). Thoughtful comments and suggestions by the editor and two anonymous reviewers were very much appreciated. DEFRA—Department for Environment, Food & Rural Affairs, UK Government (2012). Farm practices survey October 2012—current farming issues. Online: https://www.gov.uk/government/statistics/farm-practices-survey-October-2012-current-farming-issues (last accessed 10.12.2018). Eurostat. (2010). Retrieved April 1, 2019, from https://ec.europa.eu/eurostat/web/agriculture/data/main-tables. EU SCAR. (2012). “Agricultural knowledge and innovation systems in transition – a reflection paper,” Brussels. Retrieved April 1, 2019, from https://scar-europe.org/images/AKIS/Documents/AKIS_reflection_paper.pdf. EU SCAR. (2013). “Agricultural knowledge and innovation systems towards 2020 - an orientation paper on linking innovation and research,” Brussels. Retrieved April 1, 2019, from https://scar-europe.org/images/AKIS/Documents/AKIS_towards_2020.pdf. USDA Economic Research Service. (2010). “ARMS farm financial and crop production practices—tailored reports: Crop Production Practices”. Retrieved December 10, 2018, from https://data.ers.usda.gov/reports.aspx?ID=17883.